Janzen’s has assembled an outstanding group of health care professionals and committed employees, many of whom have earned specialty designations and certifications in fields such as Diabetes, Geriatrics and Specialty Compounding, and all focused on providing exceptional, personalized care to our clients. 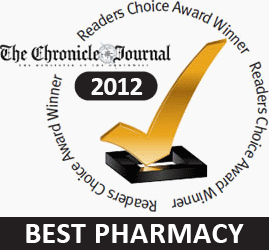 With our diverse staff of more than 70 employees, we are one of the largest independent pharmacies in Ontario. We’re proud to say our core management group has been together for more than 25 years. Come in and enjoy the friendly smiles and personal touch that Janzen’s is known for at any of our five locations.